Most municipalities demand that refrigerators that are left on the curb for pick-up must have their doors removed. Why? Children play hide and seek in abandoned refrigerators, get trapped in them, and can die. As a homeowner, you may have an extra refrigerator or a freezer in the basement or garage. Check. Can it be opened by a child? Can it be opened from the inside, if a child does get in? 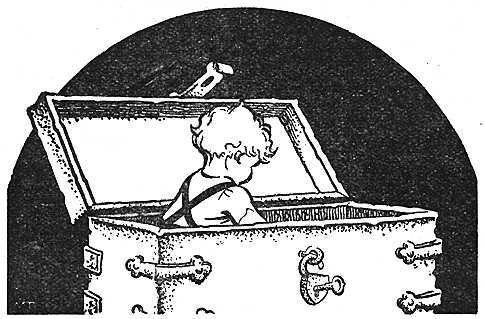 Recently a similar thing happened, tragically, to two children in a hope chest. (A hope chest is typically a cedar-lined trunk made of wood.) They hid in a hope chest that could not be opened from the inside; by the time they were found, it was too late to save them. Many antique hope chests have sturdy clamps that lock the heavy wooden lid in place. They were designed to be moth-proof, so have little or no air circulation. Always lock car doors and trunks, and keep the keys out of children’s sight and reach. Supervise young children closely when they are around cars. Be especially careful when loading or unloading the trunk. Keep rear fold-down seats closed to help prevent kids from getting into the trunk from inside the car. Although this may seem like common sense, I don’t think it is all obvious. Children (and pets) often crawl into closets, cabinets, and other tight spaces. Sometimes they can get out. Sometimes they can alert you to their presence. Sometimes, they fall asleep and die. Please walk through your house, yard, and garage to find these hazards before some little creature, human or not, does.